At Al Hattie Insurance, we do our best to ensure our customers are informed about their insurance. 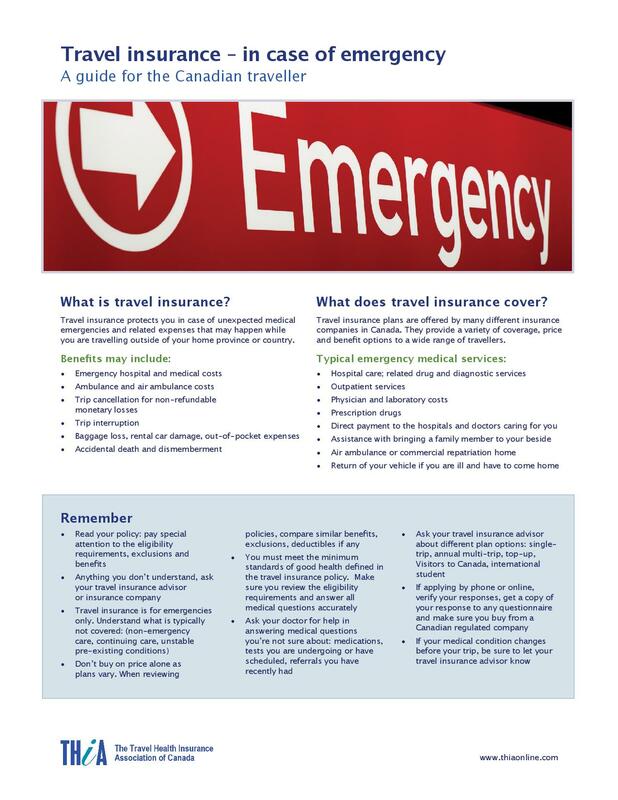 If you're traveling outside of the country, it is very important to take a minute to discuss with us the coverages, eligibility, exclusions and limitations that are specific to your travel insurance policy. Different travel insurance companies will have different wordings and nuances, so if you have had travel insurance before and are changing companies it is also important to discuss the differences between policies with one of our brokers. Having an understanding of your travel insurance will give you confidence and piece of mind for your time away from home. 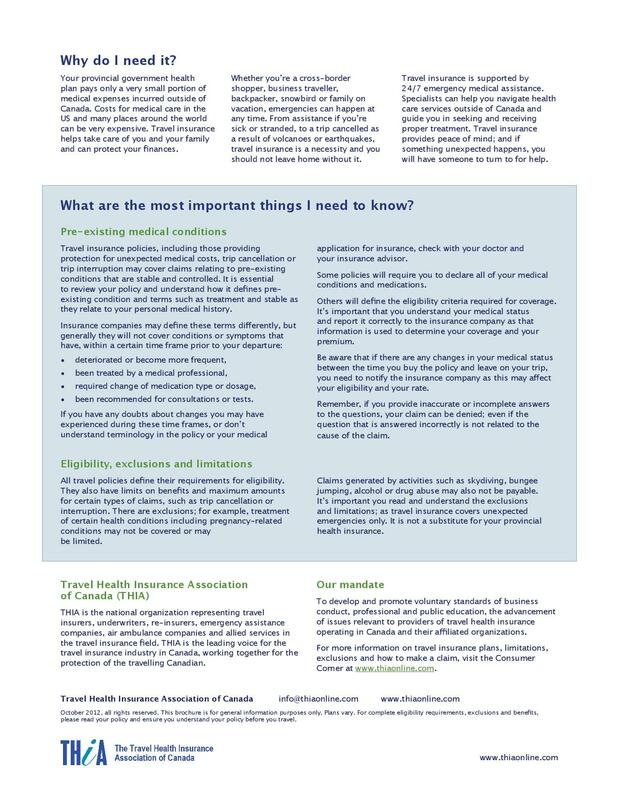 This THIA guide below is a perfect start to understanding your travel insurance. If you would like more information on the specific companies we offer, please do not hesitate to give us a call (1-888-450-2700) or stop by our office.